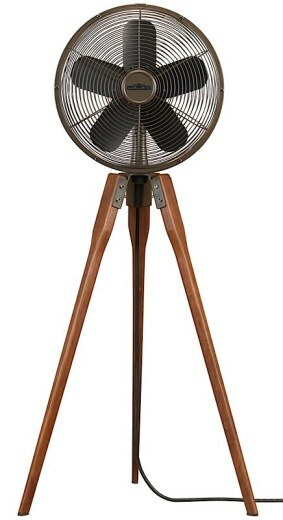 The Arden by Fanimation is modern and retro at the same time. A beauty to look at, it's functional and practical. 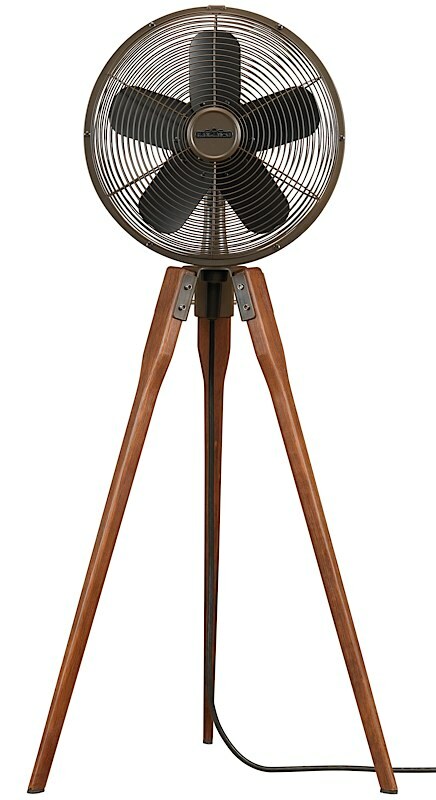 Walnut finished legs and a classic style oscillating fan motor make this floor fan a standout piece to add to your home or office. Aproximately 44" in height. Three fan speeds with 50 degree oscillation. Eight foot power cord included. Dry location rated.